Это электронный каталог части для автомобилей KIA на следующих рынках. - Can be installed on the hard drive only data or only the applications, but in this case will not be available trucks, buses and the old model, or set your entire program. 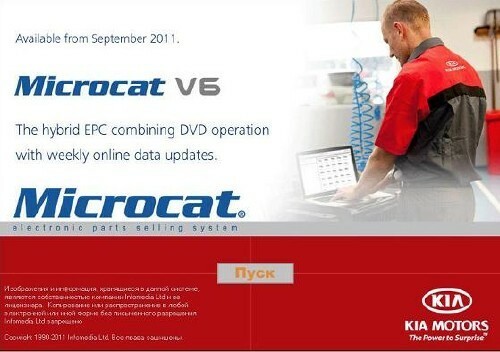 - Full installation KIA Microcat will take about 4 Gb hard disk. - Interface directory KIA Microcat and simple. - Product features a search for Vin codes, name parts, the original number, as well as the applicability of details. - There is also a catalog of original accessories KIA (original catalog numbers, color photos).